We can call this a winter spring storm here with expanded Winter Storm Warnings across upstate NY as well as much of Western and Northern New England. This is an elevation driven snow since we don’t really have a lot of cold air to deal with. There will be some upside surprises out of all of this. The Catskills could see 6 to 12 inch amounts above 2000 feet and snow will extend as as far south as parts of Northeast Pennsylvania in the counties that are close to the NY State border. 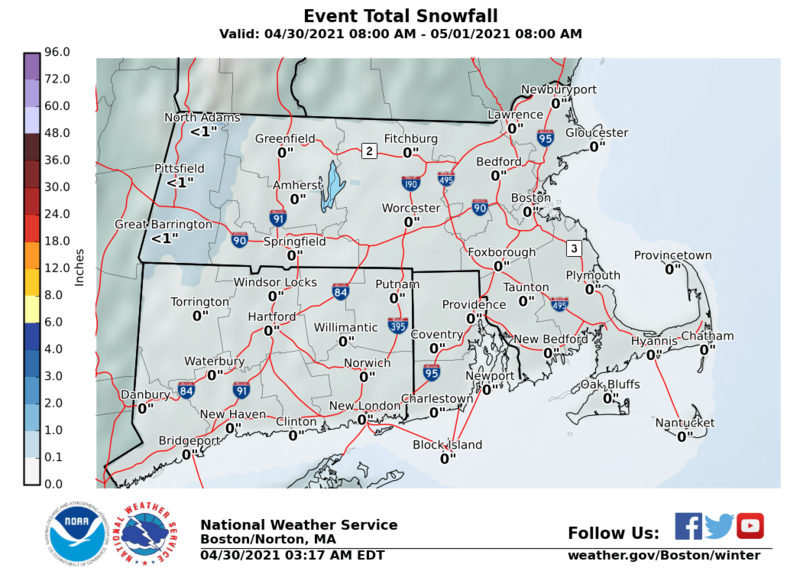 Some snow accumulation in Northern Connecticut is possible north of Route 84 though what falls today probably won’t accumulate much. We will have to wait for the storm center to shift to the northeast. Once the low moves into Eastern New England cold air will be drawn southward and there will be some wet snow tonight into early Saturday morning before it ends. What can we say about Maine. It just snows and snows and snows here. Parts of Maine have seen a stellar winter with record or near record snowfall. 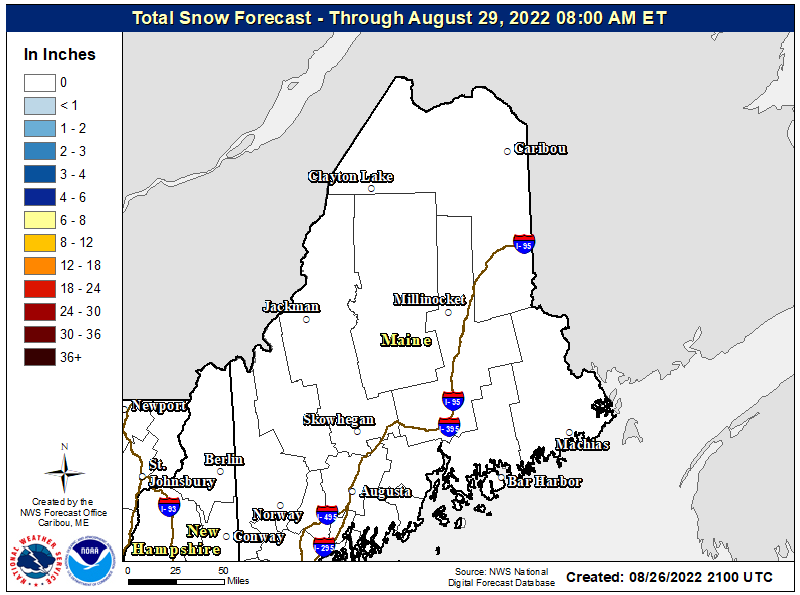 Snow lovers can just sit back and count the inches in Northern and Western Maine. Much of this is for tonight into Saturday morning. 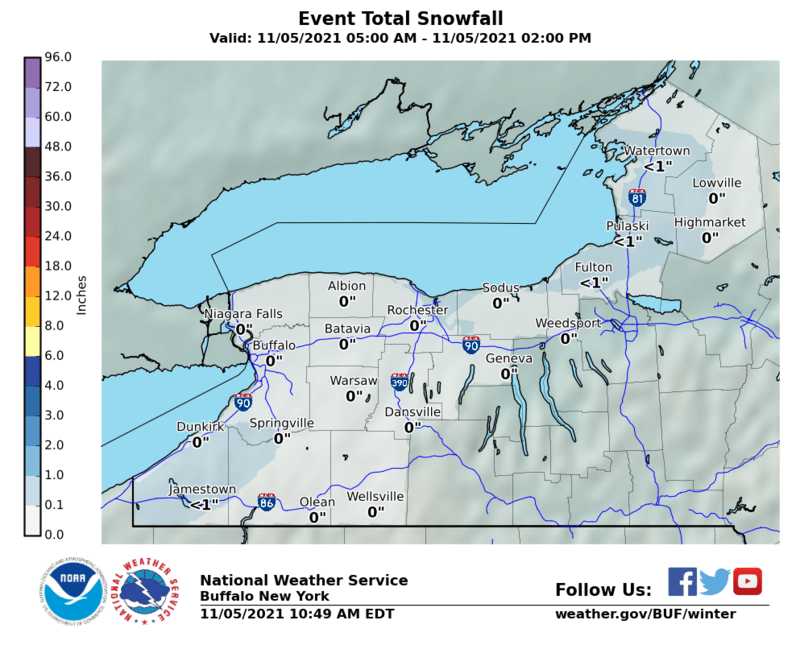 Northwestern New England and Northeast NY will see substantial elevation driven snows of up to a foot in some areas. You can see the snow amounts drop considerably in the Upper Hudson Valley which separates the Adirondacks in NY and the Green & White Mountains in Vermont. 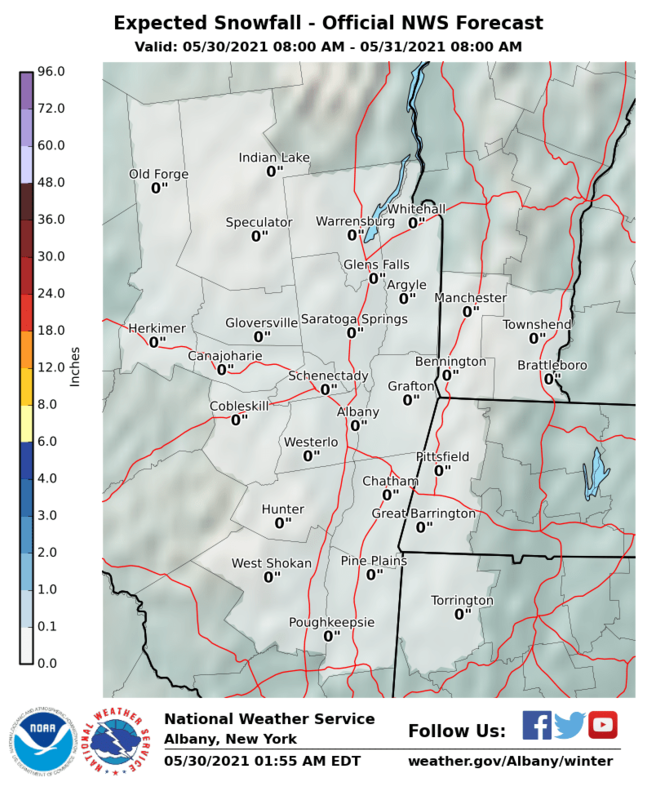 A little further south in the Middle and Upper Hudson Valley as well as Western Massachusetts and Southern Vermont, again elevation driven in areas above 1500-2000 ft while lower amounts will fall in valleys. Central NY or at least the area that straddles I-81 could be in a bit of a jackpot zone here especially in elevated areas east of I-81. 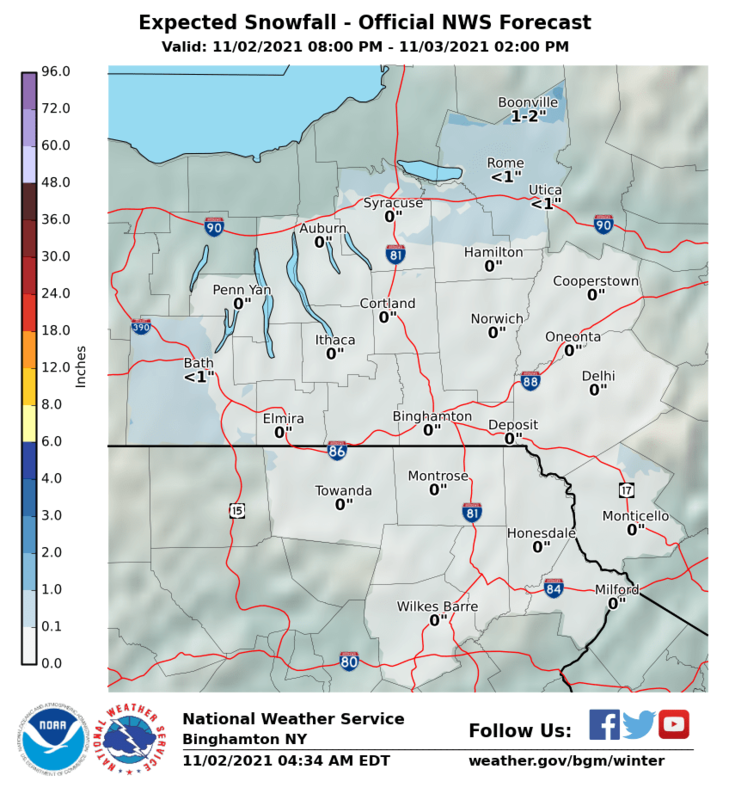 The weather service is forecasting about 5 or 6 inches in Syracuse with lesser amounts to the west toward Rochester. A 6 inch area pops in in a small portion of Northeastern Pennsylvania.